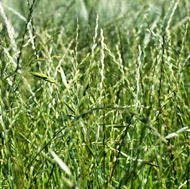 For a brief explanation of the main pasture plant groups and their characteristics, go to Categories of pasture plants. For an overview of all species commonly used in NSW read our guide on Pasture varieties used in NSW 2012-13. The Primefact Introduction to selecting pastures in NSW assists in selecting suitable pasture varieties during pasture improvement.